Longley is located about 15 kms south west of Hobart. It is surrounded by mountains making it a very scenic area. 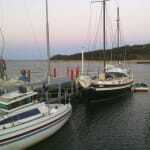 People enjoy working in Hobart and living in this tranquil setting. It is one of the suburban estates that have developed around the sattelite area of Kingston. The area has a significant Dutch community as many moved here after the war around 1950. There are few local amenities as it is only a short trip into Kingston, which is the commercial hub of the area. Where is the closest nursing home to Longley? Where is the closest playgroup to Longley? Where is the closest kindergarten to Longley? Where is the closest childcare centre to Longley? Where is the closest supermarket to Longley? What is the public transport like in Longley? Is Longley a good place for first home buyers? Does Longley have development potential? Where is the closest high school to Longley? Where is the closest fire station to Longley?